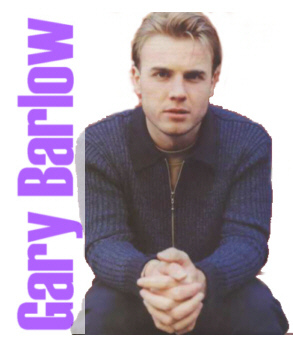 Gary is an ex-member of the band Take That. Last year he released his very successful album "Open Road", which did well worldwide!!! I like it because his voice sounds really awesome on it and although most of the songs were ballads, they are just beautiful.... "Forever Love" is a bit too slow for my tastes..but it is still good... I personally liked "Open Road", "So Help Me Girl" and "Superhero" best. 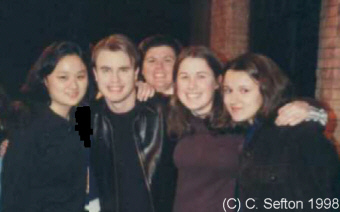 On January 8th and 9th, I was fortunate enough to meet the one and only Gary Barlow in Toronto, on his promotional trip!!!! :) I won't bore you with all the details, but let me just say that this has got to be one of the highlights of my life... He was incredibly sweet and funny. I had just found out that he was going to be in town on the actual day he was here!!! I wouldn't have known about it, but I happened to check my e-mail before I went to class, which was a total fluke... I had been late that day so I didn't want to walk into lecture late, so I checked my e-mail instead.... had I not done that I probably would have found out he was in town too late...On Thursday I met him outside a restaurant where he was doing showcase performance for some contest winners and mostly media people. He signed my "Forever Love" CD single... as I didn't have the album yet... And on Friday, I was lucky enough to see him on a show called Open Mike. He did an interview and he sang "So Help Me Girl", quite beautifully I might add. I got shivers down my spine. It was a really special moment for me because I've been a fan for 6 years now, never once thinking that I would see Gary live, let alone meet him... So it was like a dream come true... 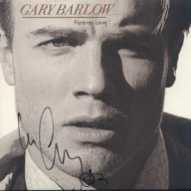 I feel incredibly blessed and fortunate enough to have met Gary.... and that night will forever remain in my memory.... Please do not use the pics that I have taken myself of me and Gary. Thanks!